Evidence of early modern human intelligence is present in every corner of the continent, but the oldest signs have been found in South Africa (excluding the pre-modern human stone tools found throughout East Central Africa). 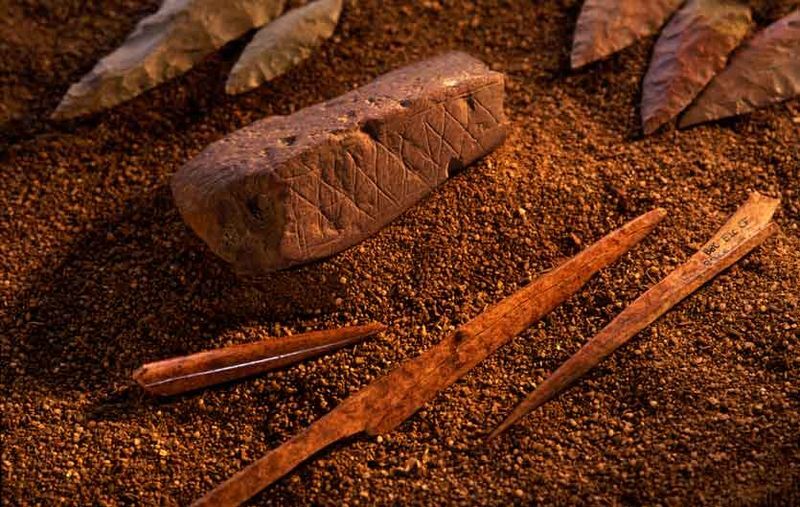 At the Blombos cave, archaeologists have discovered evidence of fishing, dating back at least 140,000 years. University of the Witwatersrand archaeologists recently found a 100,000 year old art studio with yellow and red pigments stored in abalone shell containers with spatulas and grinders present. Also found at the site were 80,000 year old tools, 75,000 year old geometric engravings, and 75,000 year old jewelry. Early signs of intelligence, however, was not limited this region. Just south of Dongola, Sudan, Royal Ontario Museum and Univeristy of Khartoum researchers found a "tool workshop" with thousands of paleolithic axes on rows of stones that are 70,000 years old. The world's oldest known astronomical stone circle, believed to have been constructed over 75,000 years ago, is found amidst thousands of ancient stone structures on the Mpumalanga plateau in South Africa. It is also worth noting that Africa is home to the largest collection of stone calendars in the world, all scattered throughout every corner of the continent. Unfortunately, these sites have only recently been rediscovered, and not much is known. However, we do know that the people who lived here had quite an extensive understanding of astronomy, from the stone calendars to the alignment of the stone ruins. The reddish iron oxide that Africans have long used to create red ochre. Africans have been mining for 45,000 years or longer, according to UNESCO. Swaziland (a small country landlocked by South Africa) is home to the Ngwenya mine where hematite (a reddish iron oxide) and specularite (a shiny form of hematite) were extracted for thousands of years. These minerals were used to create the numerous early rock paintings found in Swaziland. 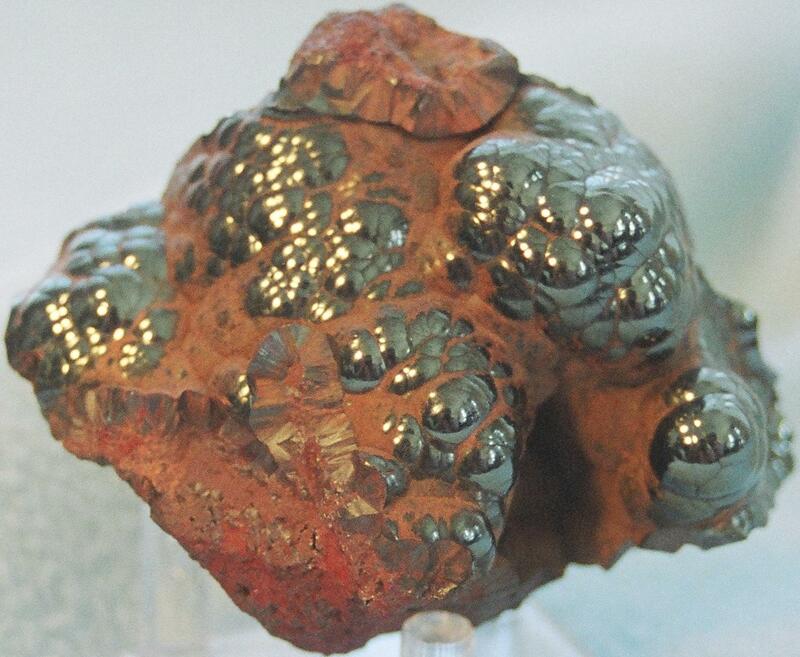 Hematite, in particular, has long been used to create red ochre, which Africans have used in rock paintings and applied to their skin--from the Himba tribe of southwestern Africa to the ancient Egyptians of northeastern Africa. 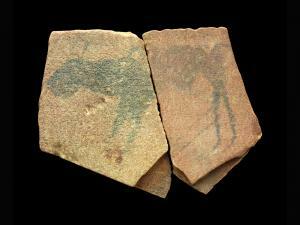 Fragment of the oldest known rock painting in Africa at Namibia's Apollo 11 cave. The African continent hosts the world's oldest and largest known collection of prehistoric rock art, the oldest of which depict animal and plant life. According to one of the world's foremost experts on prehistoric rock art, Jean Clottes, Africa has roughly 200,000 sites, or twice as many as Australia and Oceana, 4 times as many as in Asia, 13 times as many as in the Americas, and 540 times as many as in Europe. Most of the art is concentrated in the regions of the Sahara desert and Southern Africa. One of the oldest known animal paintings is at the Apollo 11 cave in Namibia in southwest Africa (shown at right) and is between 40,000 and 60,000 years old, according to the Smithsonian Institution. However, since the recent discovery of the world's oldest known "art studio," which dates back to 100,000 BC, it is certain that there are older paintings in that region. The discovery was made in South Africa, near the Blombos cave, where red ochre was collected and stored in abalone shells. Africa is home to the world's earliest known use of measuring and advanced mathematics. The oldest mathematical instrument ever discovered is the Lebombo bone, a baboon fibula found in the mountains of Swaziland, engraved with markings believed to have been used 35,000 years ago to tally the menstrual cycles (or simply as a measuring stick). The earliest known use of advanced mathematics, however, was discovered in the Great Lakes Region (present-day Uganda) and dates to at least 20,000 BC. The bone is now housed in the Museum of Natural Sciences in Brussels. The Ishango bone's inscriptions consist of all odd numbers with the left column containing prime numbers between 10 and 20 and the right column containing added and subtracted numbers--both columns add up to 60.